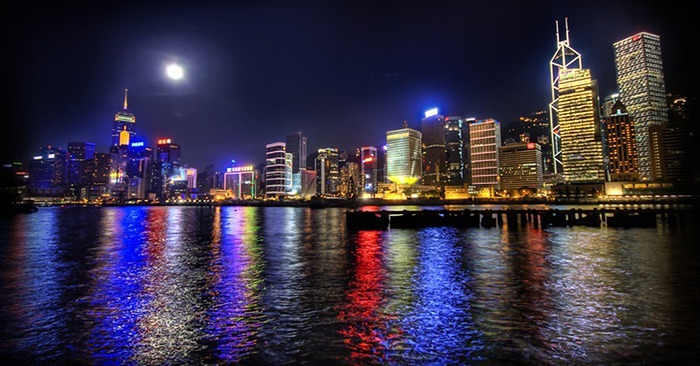 The full Moon competes against the bright city lights along the Hong Kong waterfront. Photo by Trey Ratcliff. According to recent media reports, China’s Chengdu, a city in the Sichuan province, has announced plans for an experimental “artificial moon” to be launched in 2020, with two additional satellite launches slated for 2022. While IDA encourages creative solutions for lighting that reduce energy costs, we urge decision-makers in China and elsewhere to consider the impact of satellite illumination on wildlife, human health (specifically the interruption of circadian rhythms), and other unknown factors. Based on media reports, IDA estimates that the Chengdu satellite illumination project could result in ambient light levels in the city that are nearly 50 times higher than those attributable to current levels of human-caused skyglow. Unlike municipal roadway lighting, satellite illumination cannot be shielded or directed in such a way to substantially reduce or eliminate the threat posed by this light. While the approach of satellite illumination appears desirable on the surface, promising reduced dependence on electricity and obviating the costs of maintaining street lighting, decades of research show the environmental hazards associated with unnatural nighttime illumination levels. We encourage decision-makers to consider cost-effective alternatives that provide sufficient light at night for human activities while not unduly harming the nighttime environment. Wei, Jiang. “China to launch man-made moons in space.” China Daily, 18 October 2018. Al-Jazeera. “China to launch ‘artificial moon’ to illuminate city streets.” 19 October 2018. Carter, Jamie. “China’s ‘Fake Moons’ Could Make Light Pollution Almost Fifty Times Worse, Warns Astronomer.” Forbes, 16 October 2018.